The sixth edition of the gastronomic, artistic and cultural festival "Al Dente! Día de la Italianidad en Argentina" will be held on Saturday, December 8th, from 2:00 PM to 12:00 AM and Sunday, December 9th, from 1:00 PM to 9:00 PM, in the neighborhood of Colegiales, next to the Flea Market on Av. Dorrego and Enrique Martínez, with free access to the public. "Al Dente!" is a celebration of the Italian gastronomy, that also features cultural, artistic and musical activities. 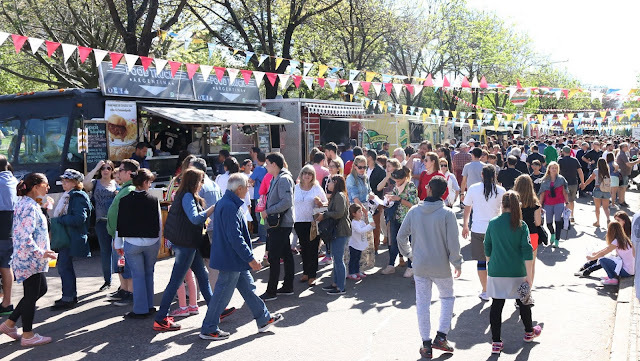 Communal tables, activities for kids, food trucks with vegan and gluten free options, more than 40 market stalls offering Italian and Argentinian products are some of the attractions of Festival Al Dente! Several musical shows will be presented all day during the weekend at the main stage. This year the Cosmic Vegan Fest, which started in Italy in 2013, will be present at the Festival with healthy activities. All visitors are invited to bring a toy, that will be donated as a Christmas gift for the oncology patients at the Children's Hospitals Pedro Elizalde, Juan P. Garrahan and Ricardo Gutiérrez. The toys must be wrapped but they cannot include any stuffed toys or play dough since these are not authorized for patients undergoing chemotherapy.